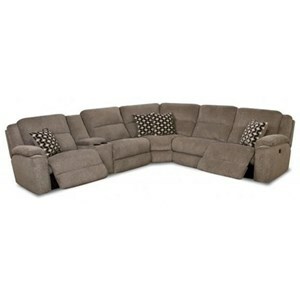 The Chapman Casual Reclining Sectional Sofa by Klaussner at Van Hill Furniture in the Grand Rapids, Holland, Zeeland area. Product availability may vary. Contact us for the most current availability on this product. 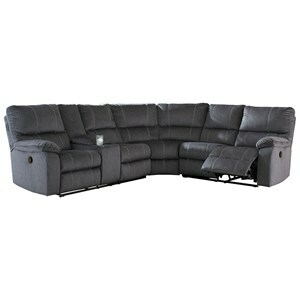 78203R RLS Right Arm Facing Loveseat 1 54" 39" 40"
78204P 90SEW 90 Degree Seating Wedge with Pillows 1 68" 42" 40"
78201 AC Armless Chair 1 25" 39" 40"
78203L RLS Left Arm Facing Reclining Loveseat 1 54" 39" 40"
Arm Track arms with welt cord trim. Padding & Ergonomics Foam seat cushion. This casual reclining collection brings you pieces for your home that are comfortable and casual. Create a family room where you can gather together and spend time watching sports, a movie and enjoying each other's company. Some pieces offer a power upgrade which makes sitting back to recliner easier than ever. 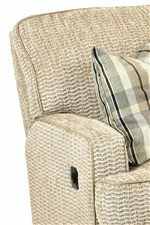 Foam seat cushions and a padded footrest create a comfortable sit while the welt cord trim creates a clean look on each of the reclining pieces in this collection. 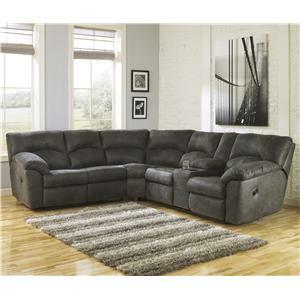 The Chapman collection is a great option if you are looking for Casual furniture in the Grand Rapids, Holland, Zeeland area. Browse other items in the Chapman collection from Van Hill Furniture in the Grand Rapids, Holland, Zeeland area.